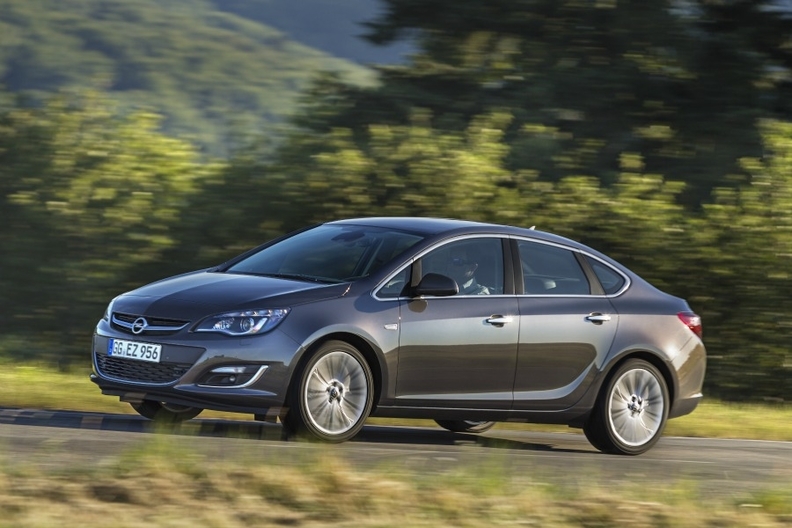 Opel hopes the Astra sedan, pictured, will help it capitalize on strong demand in Turkey for compact sedans, which made up over a quarter of total market sales in 2011. FRANKFURT (Reuters) -- Opel is pinning much of its hopes for growth in the Turkish market on the new Astra four-door compact sedan. "This year we will sell more than 50,000 cars (in Turkey) and increase our share to an estimated 6.3 percent from 6.0 percent," Opel sales chief Alfred Rieck said in a statement on Thursday, ahead of Friday's official start of the biennial Istanbul auto show. The Astra, which starts in Germany at 18,270 euros ($23,700), will be key to the strategy's success, said Ozkan Keklik, managing director for Opel in Turkey. "There is strong customer demand here for compact cars with a separate luggage compartment," Keklik said. In 2011, total Turkish market sales were almost 911,000 vehicles, of which 251,000 were compact sedans, according to Opel. Last year, Opel sold 54,437 vehicles in Turkey, making it the seventh largest market behind the five core western European countries and Russia. Similar to the Buick marque, General Motors has classified Opel a regional brand that is only sold in select countries, predominantly in the shrinking European market where most carmakers rack up heavy losses. Barred access to China or Brazil, Opel's only opportunities to tap into new sources of future growth is Russia and Turkey. As a result of the brutal market environment in western Europe, where sales could plumb lows not seen in nearly 20 years, GM said on Wednesday it did not expect Opel to be profitable until the middle of this decade.